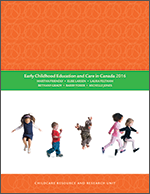 This BRIEFing NOTE summarizes The benefits and costs of good child care: The economic rationale for public investment in young children by Gordon Cleveland and Michael Krashinsky, Economics, Division of Management, University of Toronto at Scarborough. Summary originally released 1998. Reprinted November 2003. This economic study concludes that for every dollar invested in high quality child care, there is a two dollar benefit to children, parents and society. The study calculates the costs and benefits of providing publicly funded early childhood care and education for all children 2-5 years of age-those whose mothers are in the paid workforce, as well as those whose mothers are not. high quality child care is not likely to be produced through the free market approach to child care currently employed in Canada.